It seems like I’ve been waiting forever, but the day is finally here. The first book in my Whispering Bay Romance series THAT THING YOU DO is out in the world today! To celebrate I’m holding a Facebook Beach Bash tonight from 6:30 to 11pm EST. The margaritas might be virtual, but the prizes are not! To join the event, just click here. I’ll be joined by fellow authors Marilyn Brant, Tracy Solheim, Roxanne St. Claire, Jamie Farrell, Tonya Kappes, Gena Showalter, Sharla Lovelace & Laura Spinella/LJ Wilson. 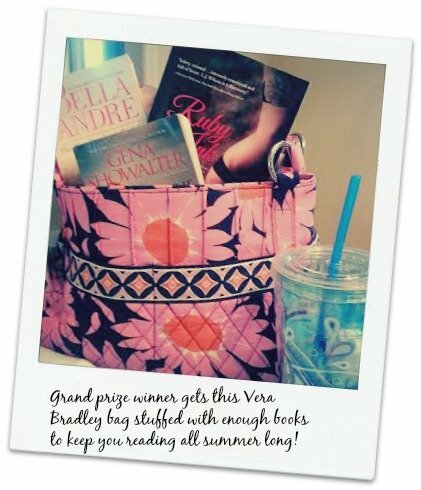 There will be tons of free books and one lucky winner will get this lovely Vera Bradley bag stuffed with enough books to last all summer. I hope to see you there! Next → Next post: That Thing You Do is free!